Back in January 2017 the Long Range Planning Task Force held a brainstorming session for the congregation. Grant Switzer attended and shared one activity he wanted to see us do more of—drumming. His idea made its way into the final report as one way to enhance our programming with a wider range of creativity. Last spring for our All-Church Retreat the highlight for many was the drum circle that involved all ages from our toddlers on the floor to our seniors and also bridged language gaps as our refugee family was able to fully participate. The experience was an epiphany for many of us as to how inclusive and welcoming drumming could be. The Worship Ministry imagines that drumming could become something we do a few times a year. 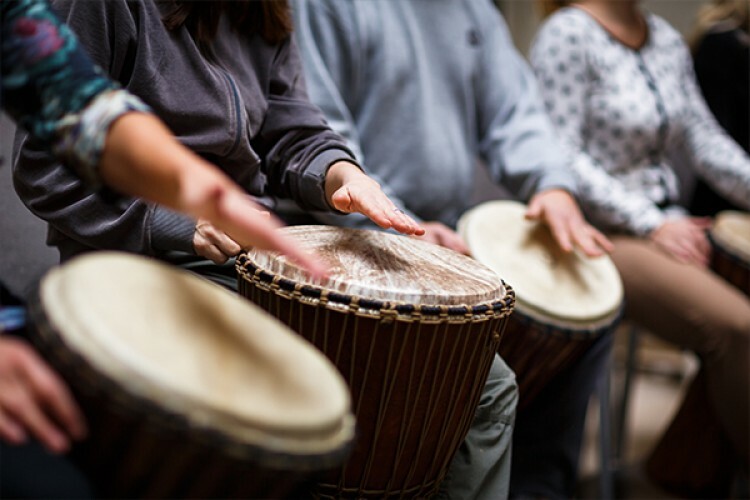 So, this coming Sunday we’ll celebrate Earth Day with a drumming circle beginning at 10:10 a.m. in the Sanctuary. The drumming will turn into the prelude for our worship service. All ages are invited to participate. Bring your own percussion instruments if you have them, or use ours. Play the entire time or join in for a few minutes. Also, the Long Range Planning Task Force will be getting together again soon in order to develop a mechanism for evaluating how we are doing in progressing toward our ten year goals and objectives. And let’s celebrate how one congregant’s idea has enriched the life of the community.